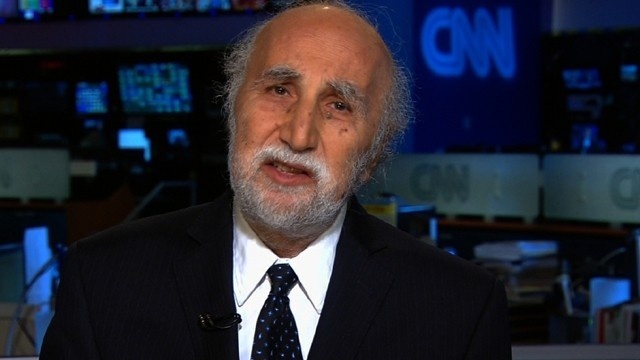 I first met Fouad Ajami who passed away recently in December of 1976 when I interviewed for a job as an assistant professor at the Woodrow Wilson School at Princeton University when he was already on the Faculty there as an assistant professor. My faculty lecture was highly critical of Israel, strongly supportive of the Palestinians, and condemnatory of the pernicious role the United States plays in the Middle East. Afterwards in the usual private meetings with Faculty members in their offices, Fouad and I hit it off immediately. We saw eye-to-eye on the Middle East, including critical of Israel, supportive of the Palestinians, and condemnatory of the United States, etc. It was as if we were soul-mates when it came to the Middle East. Not surprisingly Woodrow Wilson did not hire me and they denied tenure to Fouad. Whereupon Fouad did the smart thing and sold out his soul to the Neo-Cons in order to become their Token House Arab. In 2004 the Crown Prince of Dubai invited Fouad and me to attend his Davos-type conference in order to debate the Bush Jr. Doctrine. When we both showed up at the Conference Hall, I went over to Fouad, said hello, sat down next to him and then engaged in some chit-chat. Fouad knew that I knew he was a Fraudster. And I knew that Fouad knew that I knew he was a Fraudster. Etc., etc. ad infinitum. When the Conference started, Bill Clinton gave the Keynote Address on Democracy in the Arab World, which was quite good. Then came Madeleine Albright who knows nothing about the Middle East. Then came Fouad and me for the debate on the Bush Jr. Doctrine. Fouad argued that the Bush Jr. War against Iraq was a “just war” and a “noble cause.” That was one of the easiest debates I had ever won in my professional career. I found it hard to believe that Fouad took his arguments seriously. But he had already sold out his soul years ago for Fame and Fortune to the Neo-Nazi Neo-Cons. Not that long ago, my disalma mater, the Harvard University Graduate School of Arts and Sciences, Department of Government where I had obtained my PHD in Political Science had offered their Chair on Middle East Politics to Fouad. Thus proving that they are all a Gang of Neo-Nazi Neo-Con Fraudsters on the Harvard Government Department Faculty.